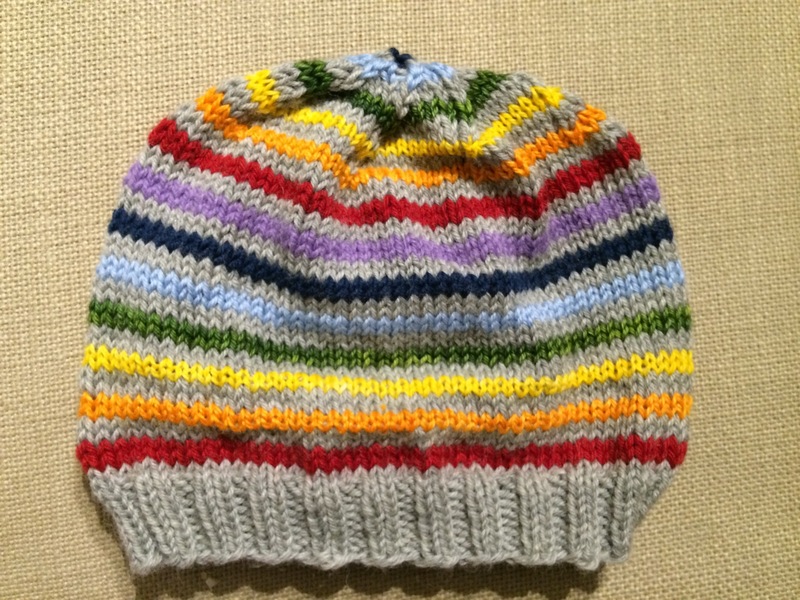 I finished knitting my friend’s rainbow hat!! It’s not as bad as it seems. Luckily, I never allowed myself to develop a dislike for weaving in ends. The squishy lovely garter stitch cowl? 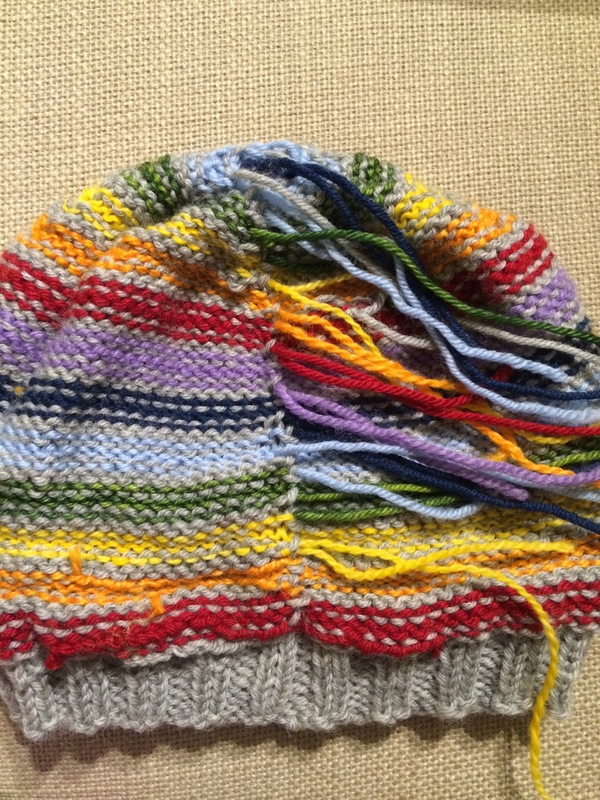 It’s done, the ends are grafted together, but it really flattened out between washing and blocking. I’m really sad about it! When it’s in the water, it puffs up and looks lovely, but drying on the blocking squares, it looks sad and stretched. What to do? ?